We all have different opinions on what makes an ideal pancake—whether it should be topped with a mound of melting butter, delicately dressed with fresh berries or served as a savoury dish for lunch, there will be no conclusion on what makes a perfect stack of pancakes. However, what we can all agree on is that pancakes are made for both breakfast and dinner. Thankfully, Singapore has plenty of amazing places that serves irresistible pancakes ranging from classic American-style ones to melt-in-your-mouth Japanese pancakes. 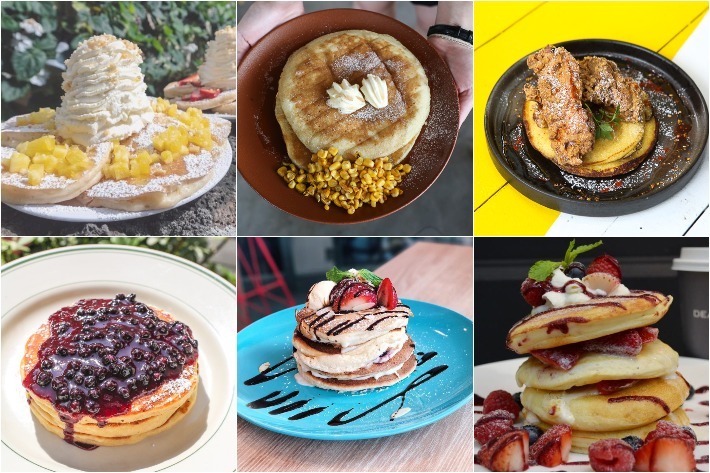 If you have a soft spot for pancakes and simply cannot get enough of this fluffy and warm goodness, here we present to you 12 best pancakes in Singapore that prove pancakes are not just for breakfast. 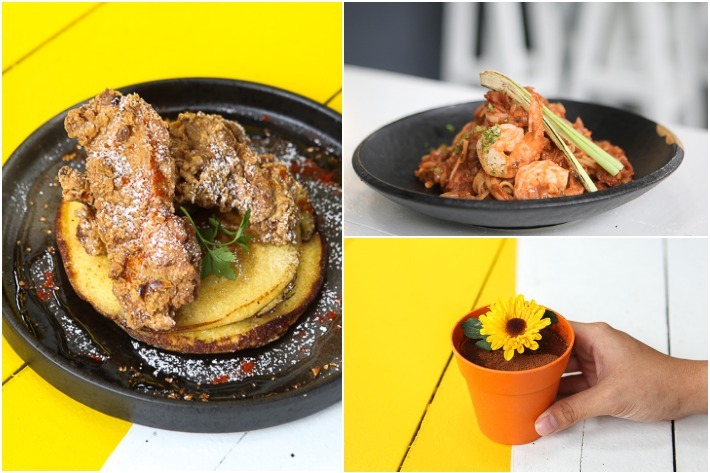 Situated along Jalan Pinang and taking over the space of the now-defunct Artistry Café is Earlybird Café, a gorgeous bird-themed café which whips up unpretentious dishes as well as a variety of beverages. 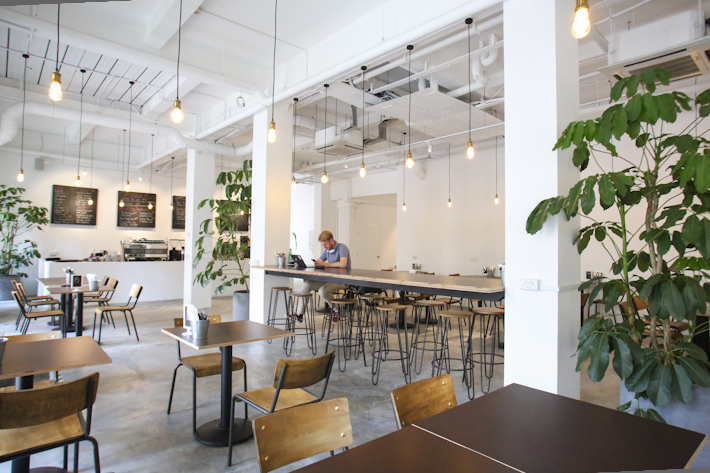 Although the area around Jalan Pinang already has plenty of cafés and coffee shops, this brand new addition to Singapore’s local café scene is one you have to add to your bucket list. Here’s what we loved about the place. Twenty Eight Cafe is a new F&B venture by Italian restaurant and bar 28Wilkie, which also sits along Wilkie Road. Opened two weeks ago, the cafe is still in soft launch and is looking to update their lunch menu to incorporate more options for their diners. Focusing on speciality coffee and brunch items, Twenty Eight Cafe is an excellent choice for freelancers and students studying at the campuses nearby as the work-friendly cafe is equipped with many charging ports. 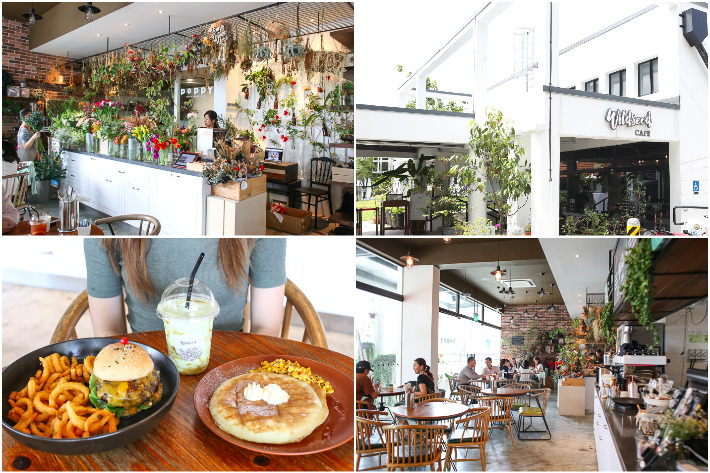 Nestled in Seletar Aerospace Park, Wildseed Café & Bar is a picturesque venue where you can break out of the city’s hustle and bustle. Located on the ground floor of The Summerhouse Dining Room, this farm-to-table concept café serves hearty lunch and brunch during the day and transforms into a casual bar with a delectable grill selection in the evening. From a wide selection of mains and sweet treats in their daytime menu to an even larger range of alcoholic drinks on their bar menu, there is something for everyone to indulge in at Wildseed Café. From Fridays to Sundays, there is live acoustic music in the evening. Behind the same folks that brought you Fresh Fruits Lab comes Blue Willow, a thematic bar and bistro that derives its inspiration from one of our favourite science-fiction movies of 2009—to give you a clue, the alien characters in it are all blue. Decked out in—you guessed it—blue with beautiful wall murals depicting scenes and characters from the movie, this cosy bistro in the West of Singapore is not your usual gimmicky themed cafe. Of hearty grub and inventive cocktails that are mostly blue in colour, the food standard is so good that you wouldn’t believe you are dining in a cafe! You’d be pleased to know that the blue-coloured dishes and drinks are naturally coloured with butterfly pea; nothing tastes artificial nor tackily sweet. 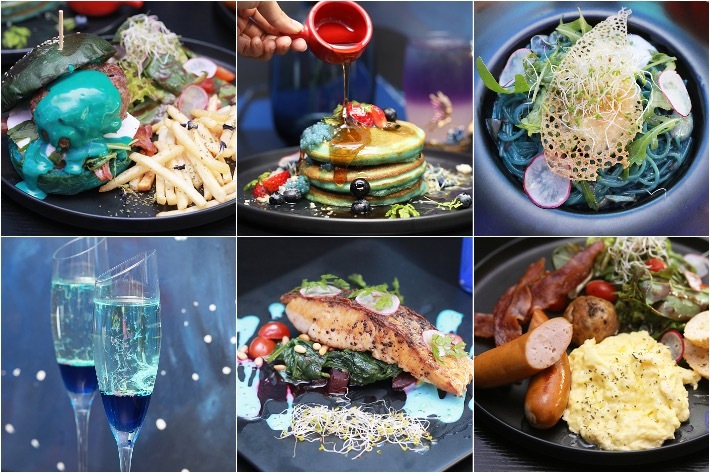 Blue dishes and desserts to look forward to include the Eywa Natural Blue Carbonara, Neytiri’s Blue Pancake Stack and Blue Velvet Cake. If you are out looking for a tipple, we are sure their stunning line-up of thematic cocktails will leave an impression as well. From now until 04 Mar 2018 (excluding Valentine’s Day), our readers can quote ‘ladyironchef’ upon making your orders to enjoy 50% OFF the second main course (on the lower-priced item). This promotion is valid for lunch and dinner daily. So get your appetites going and your cameras at the ready, because Blue Willow Bar & Bistro is an absolute must-visit. A new breakfast place is opening up at Plaza Singapura and it is featuring two signature items we cannot get enough of—eggs and pancakes! 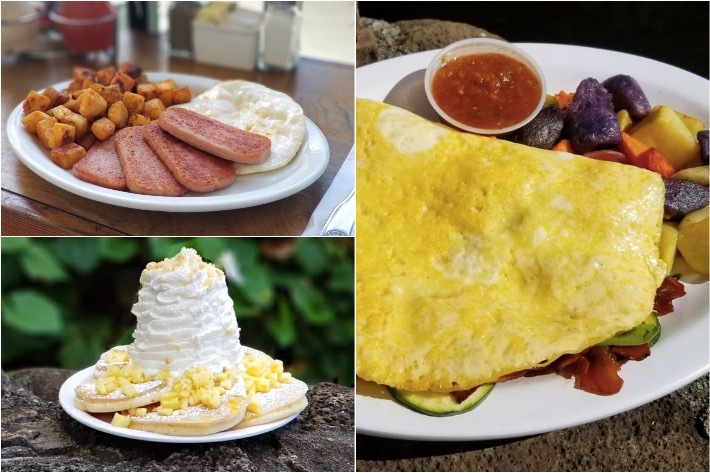 If you are a fan of pancakes, omelettes and crepes, you definitely have to keep a lookout for Eggs n’ Things, a popular eatery hailing all the way from Waikiki, Hawaii. No surprises here—Fresh Fruits Lab (FFL) is our favourite cafe in the East of Singapore. This has never changed since our first visit in 2015. The themed cafe has seen a revamp recently and it is nothing short of amazing. 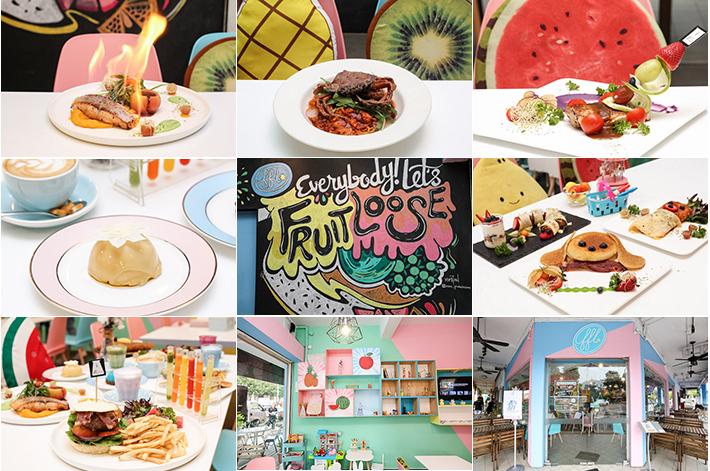 Still keeping their core laboratory theme and incorporating fruits into their menu, FFL now boasts a colourful, pastel interior that is both whimsical and photogenic. It has also become a kids-friendly dining outlet with a play corner for your little ones as well as a low-salt kids menu that is so reasonably priced. How can a cafe make us fall in love so much? FFL always does it best. Here are some of our favourite dishes from its current menu. You need to bring your squad here for your next gathering! Craig road is a narrow street synonymous for its many chic cafes and fancy restaurants. 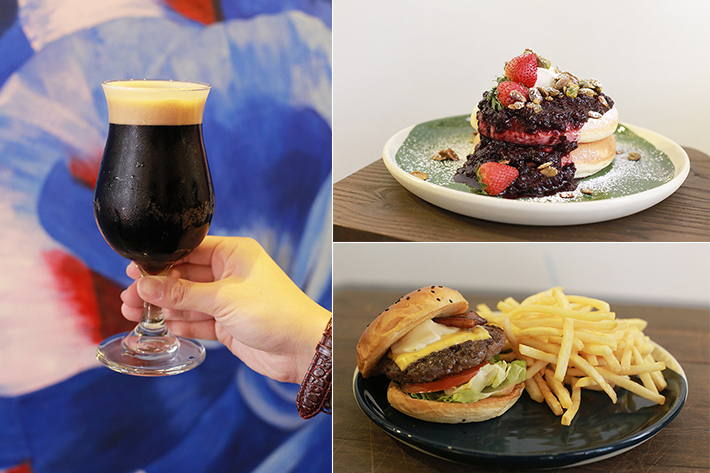 Hustle Co is the newest addition to the neighbourhood but what sets them apart from the conventional coffee-and-cake joints is their emphasis on craft beers. Cafes are aplenty all over Singapore but hardly do we ever come across ones that sell craft beers. Which is why we got pretty darn excited after hearing about this particular place. Serving up a comforting cafe staples for brunch and heartier dishes for dinner, along with a myriad of 12 different craft beers on tap, Hustle Co truly is a cafe which is worth checking out.